It won’t surprise you to know that digital marketers are now focused on both search engine optimization and social media marketing. SEO and social media marketing are part and parcel of Internet marketing, and nobody knows this industry as well as the current generation of digital marketing practitioners. It, however, would be foolish for newbies to dismiss so-called old Internet marketing techniques, like email marketing, as obsolete. They remain as potent as ever. Not only do netizens still subscribe to newsletters. The email marketing efforts of many—from well-known writers like Mike Allen with Politico, to respected publications like Newsweek—are successful. But the competition’s stiff. 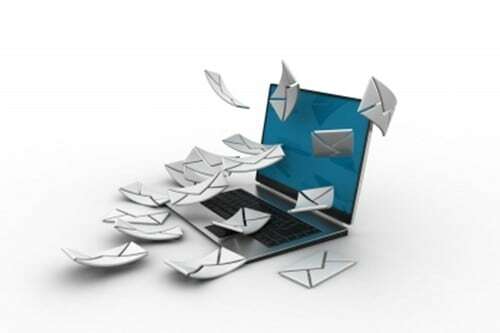 Almost 200 million emails are sent around the world every day; nearly half of those are newsletters. Here 5 effective tips on email marketing to improve your email marketing effort’s chance for success. There’s nothing as important for email marketing as crafting an engaging subject line for targeted emails. Readers will see your subject line before your email itself, and they will decide whether to the read the latter based on how well you crafted the former. So, you must come up with a compelling subject line for every targeted email you’d send out. Each should be short (not more than 50 characters, including spaces, long) and able to make readers curious or excited. You’re not in the clear yet if the readers open your emails. It’s unlikely they’ll read if you didn’t format properly. Netizens tend to skim, so keep your paragraphs short (not more than four lines long), and use bullet points where applicable. Netizens also get bored easily, so keep them engaged by including images. But don’t overdo it. There’s nothing as bad as reading a cluttered email. Targeted emails are basically used to reach out to generally average people and, hopefully, form lasting relationships with them. You’ll succeed only if you’d manage to connect with them through your emails, so write in a casual way, communicate as if you were talking directly to them, address them by their first name, and be friendly. No matter how well you can write, nobody will care for your emails if you’d just ramble, so make sure every targeted email you send out are useful and can be easily understood. To ensure this, think carefully of the subject and purpose and write only if you fully understand them. A CTA is a digital marketing technique, where a piece of instruction is included in copy (in this case an email), usually at the bottom, to encourage readers to do something that will benefit the digital marketer (e.g., take part in a poll, join a contest, write a review, or watch a video). This digital marketing technique makes copy even more engaging, improving the chances readers will subscribe. Just because email marketing has been around for a long time doesn’t mean it’s no longer useful. If you’d take time to learn it, you’d be surprised by how effective a digital marketing technique it can be.